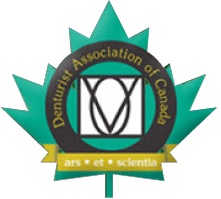 As your local certified BPS denture centre, Duncan Dental 1992 LTD provides the right denture to let you eat your favorite foods and smile with confidence. We have been providing BPS services since 2003, and our highly qualified denturist will construct a precision denture just for you using additional measurements of your face and jaw. Let us give you the confidence you deserve. Contact us today to schedule your consultation. BPS® stands for the Biofunctional Prosthetic System. It is a system of materials, instruments and specific techniques for denture prosthesis. This system is composed of technical education programs that train denturists in the fundamental concepts of removable prosthodontics using lectures, demonstrations and hands-on applications. Our denturist is recognized with a BPS® certification. This distinction signifies that our denturist is capable of providing consistent technical support and guidance in fitting your dentures. Created using a revolutionary system called the SR Ivocap®. It is fabricated through an injection process that limits shrinkage, eliminating ill-fitting dentures and the growth of bacteria. You can expect premium quality dentures that have superb comfort and strength. It is a highly accurate system that provides the best look and fit possible.